(VEN) - The Ministry of Science and Technology has implemented the National Product Development Program until 2020 in an effort to improve the competitiveness during the country’s increased international integration. The Ministry of Science and Technology’s National Product Development Program until 2020 Steering Committee has outlined major orientations for the development of national products until 2020. As for vaccines for pets which are now mainly imported, the program aims to reduce importing these vaccines by 20 percent by 2017 and 50 percent by 2020. 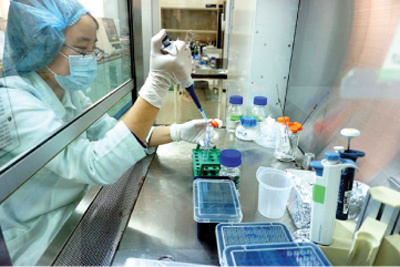 Vietnam has met National Regulatory Authorities (NRA) Standards for vaccine production as required by the World Health Organization (WHO), which may further facilitate the country’s vaccine exports to more markets, said Tran Thi Oanh, Deputy Director of the Ministry of Health’s Department of Science, Technology and Training. 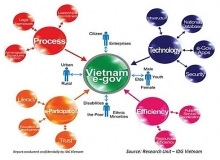 According to Head of the Ministry of Science and Technology’s Office of National Science and Technology Programs Ha Minh Hiep, the National Product Development Program support organizations and businesses in the research, development, transfer, improvement and piloting of technologies. National products will be produced on an industrial scale, requiring large investment and more incentives than other products. 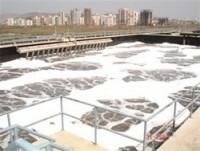 The program covers 100 percent of research and development of technologies costs, up to 50 percent of costs on new technologies piloted under scientific projects, up to 70 percent of the costs of agricultural production projects implemented in areas with socioeconomic difficulties, up to 30 percent of the cost of raw materials, fuels and gauges to be used during the pilot production of new products, and 100 percent of the cost of short-term vocational and managerial training provided for state-owned enterprises and 50 percent for private enterprises. According to the National Agency for Technology Entrepreneurship and Commercialization Development under the Ministry of Science and Technology, national products will receive special incentives as they are well selected. The National Product Development Program until 2020 was approved by Prime Ministerial Decision 2441/QD-TTg dated December 31, 2010, with the first phase from 2011 to 2015 reserved for the research and development of national products and related human resources and the second phase from 2016 to 2020 for the expansion of production, improvement of quality, the domestic market expansion and branding.